We've tracked over $3.8 Billion in fundings, $3.8 Billion in acquisitions and IPOs for marketing tech in Q4 of 2015. The results are staggering. We know that you're hearing all the reports of doom and gloom in the VC landscape, but here's the thing: The volume of deals, in both amounts and frequency shows VC confidence in marketing tech, but what you need to understand is where they're gravitating towards and why that matters. 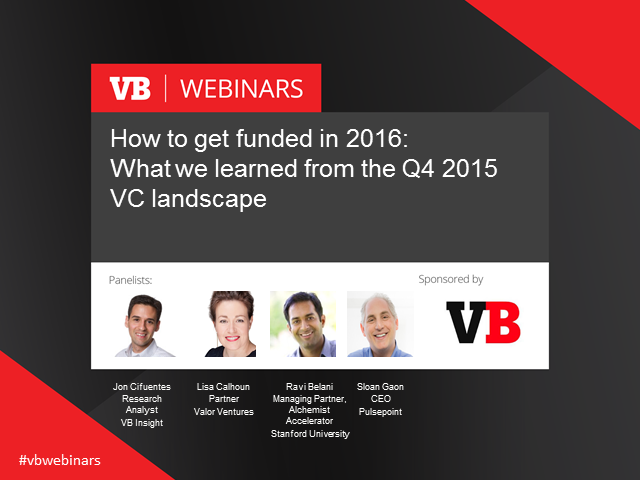 *What you need to do to get noticed by the top VC, straight from the VC themselves. Register today and participate in a free interactive hour where we pick the brains of today's best minds in venture capital.